I realize how important having the right kitchen tools is when I travel and I am in someone else’s kitchen without MY tools at my fingertips. When you have the right kitchen tools, your time in the kitchen will be more efficient and more enjoyable. 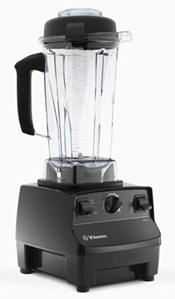 I bought a Vitamix and, yes the investment is not a cheap one. I have not looked back from the moment I bought it. My Vitamix rocks! I could do more with it; however, I have more than gotten my money out of it and that is what matters. I use my Vitamix to make non-dairy milks, nut butters, “ice creams,” soups, fruit purees, smoothies, and so many other things from scratch avoiding the unnecessary additives and preservatives in commercially-made products. Who didn’t want to buy a juicer after watching “Fat, Sick and Nearly Dead?” I am sure the sales for Breville juicers skyrocketed thanks to this movie. I had a juicer many years ago and recalled the nightmare of cleaning it, so I did my homework before making this purchase. 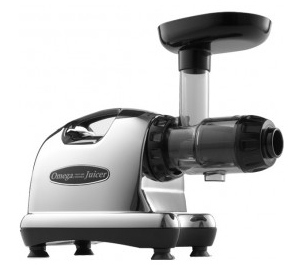 I bought an Omega masticating juicer and I am very happy with this decision. It is easy to use and clean. It is not super loud so I can have a conversation with my husband while juicing. Making fresh juices at home gives you complete control to make your own masterpieces and you get the most nutritional benefits by drinking freshly-made juices. Click here for a brief comparison of the two types of juicers. Contact me if you’d like to see a side-by-side juicer demo. Use a 20% off coupon at Bed, Bath & Beyond (can’t use for Breville). A food processor is an important kitchen tool. You can save time by quickly chopping large quantities of food in seconds. Additionally, you can use a food processor to make things like nut butters or Chocolate Avocado Pudding. Yes, I could use my Vitamix for these items; however, it is easier to dig pudding out of my food processor than my Vitamix and I want to get every little bit of that pudding into my mouth! 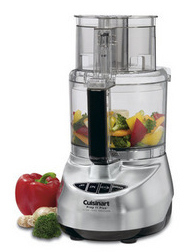 I read a lot of user reviews before deciding on the Cuisinart Prep 11 Plus model. Here is the comparison chart I created when I was researching food processors. Feel free to contact me should you want to talk before making a final decision. This is another purchase to use a 20% off coupon at Bed, Bath & Beyond. One of the first Pampered Chef purchases I made was the Garlic Press. I love my garlic press and you will love it too. Don’t peel the garlic. Just toss a clove or two in the press, squeeze it, and there you have minced garlic. Have you ever tried to squeeze juice from a lime by hand? Sometimes, actually most times, it doesn’t work so well. I’ve used the trick of rolling it under your palm before squeezing it and that helps a little. However, I have used my Citrus Press on limes that could break a window and the amount of juice that comes out amazes me. Keep lemons, limes, oranges, and tangerines on hand and you’ll always have fresh juice at your fingertips for cooking and/or adding to your drinking water. I use the Food Chopper out of habit more than anything else because I’ve had it for so long. I use it when I need to chop nuts such as pecans, walnuts, or almonds. You can control the size easily by the number of times you “chop” and the chopper is pretty easy to clean.